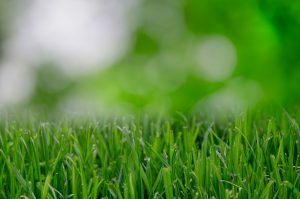 If you notice an area of your lawn that never seems to dry out after the sprinklers have shut off or the rain and snow have passed, you may have a yard leak on your hands. It can be difficult to track down exactly where the leak is occurring, given that the underlying issue may be directly below the wet spot, or somewhere else altogether in your plumbing line. Trust this task to the experts! Call us at (720) 363-2907 and let our Master Plumber thoroughly evaluate the situation and provide guidance on the best way to approach and fix the leak. We can help you navigate whether the issue is with the main, embedded sprinkler system, or any other underground pipes running to your home. Our experience of over 28 years in plumbing means that we can also help you know when to get the city involved and avoid causing a bigger, more substantial issue in your water line. Contact us right away to investigate so that we can quickly deliver professional yard leak repair for your Denver, CO or Westminster, CO property! For our team at Best Plumbing of Denver, yard leak repairs are no sweat whatsoever! We have experience repairing underground slab leaks, burst pipes, and sewer plug-ups, and even offer trenchless excavation. This means that we’re well versed in the intricacies involved with digging into the ground and tracking down problems in plumbing lines. Identifying the cause of yard flooding requires patience, special tools, and expertise to avoid causing more damage and keeping costs contained. You can count on our Master Plumber to efficiently track down the source of the leak, repair the leak to original or better standards, and to restore the dig path so that you’re back to normal as soon as possible. We have been proudly serving Denver, CO and Westminster, CO since 1989. Our Master Plumber oversees every job that we do. We do this because we so highly value our customers. Why? Because you’re our neighbors. We understand the unique and beautiful area of the country where we live and work, and we love being able to serve all of our residential and commercial plumbing customers! When it’s time to call in the pros, reach out to us at (720) 363-2907 in Denver, CO and Westminster, CO for yard leak repair and all plumbing services for your home or commercial property! Updated on July 27, 2016 at 2:45 pm by Best Plumbing of Denver.